Back in the day, home security meant forking over thousands of dollars for quality cameras, motion sensors, and professional setup. Luckily, for the average homeowner, modern security systems are better quality, more affordable, and easy to install by yourself. Of course, there are many home systems on the market, and some are clearly better than others. A good security system features motion trackers, security cameras, and even smart home features that allow you to view your home while you’re away and set off alarms when spotting intruders. Needless to say, security systems have come a long way. However, not everyone feels the need to be sure their home is secure. Most homeowners have a hard time believing that they could ever be victim to home burglary. In the United States, home burglaries occur about every 15 seconds. Approximately 30% of all home burglaries are considered “unforced entry,” which means that the burglar was able to enter the home without actually breaking barriers (such as windows or doors) to enter. 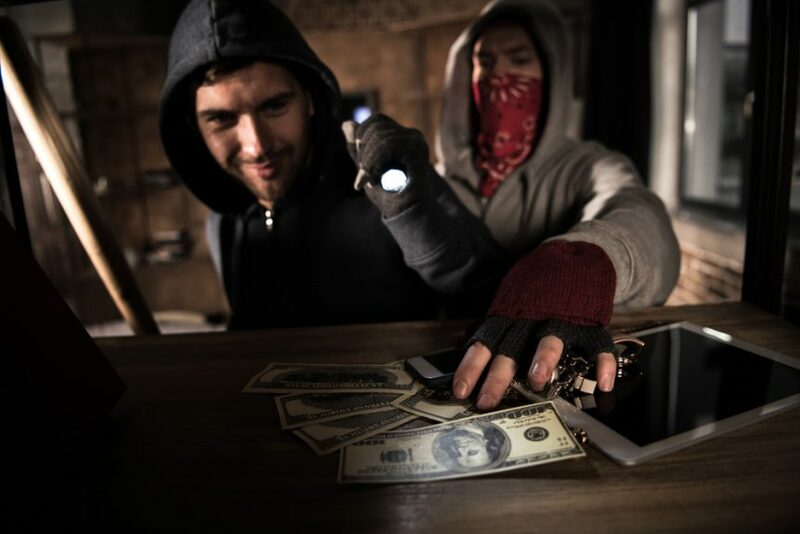 The average value stolen during a home invasion is approximately $1,600. Less than 14% of home burglaries crimes are actually solved. Almost 30% of homes have security systems installed. However, those without a home security system are two to three times more likely to experience a break-in. Many fall victim to these terrible statistics. Imagine walking into your home, after a nice evening with your family, to find your house completely ransacked. Your valuables missing and your rooms turned upside down. What a devastating and violating experience to go through! Not to mention the headache of having to replace valuables and repair damage caused by the burglars. Many families have experienced this very scenario and have been left with the “what if” questions swirling through their heads. What if we hadn’t left this evening? What if we came home 20 minutes earlier? However, the main question that should be asked before a home burglary occurs, is what am I doing to keep my home safe and intruders out? It is important to put your best foot forward when it comes to protection for your home and your family. If you have decided that now is the time to install a security system, you are taking one step closer to safety. When it comes to searching for a security company that is of the highest quality, reliable, and honest, 4Sight Security is the best choice in Idaho Falls! Carrying the highest quality security products, manufactured by leaders in the industry, 4Sight Security provides security systems not just for residential homes but also commercial businesses, at the affordable and competitive prices. They only install the best surveillance systems, using networks cameras for your office, vacation home, and residential property. Providing the best customer service in a timely manner – that is 4Sight Security’s mission. So before you buy a security system for your home, be sure to check out 4Sight Security. Allow them to give you an honest quote that will guide you and your family towards peace of mind.